. Published on October 22, 2015.
why MightyCall virtual phone system is a good choice. The hospitality business is an extremely sensitive one, involving massive volumes of interaction with current and potential guests. As communication technology develops, flawless management of incoming telephone calls is becoming a standard feature for any lodging facility. Be it a 5-star hotel, family-owned inn, roadside motel or an island villa ― a caller expects to get all the necessary information on his/her first call. And if not ― well, there are probably several other options in the vicinity. Keeping up to this standard may prove problematic for small businesses, but there is an affordable shortcut ― a virtual receptionist. A virtual receptionist (aka automated attendant) is a key part of almost any modern business phone system. Basic functions of a virtual receptionist include, but are not limited to accepting telephone calls, playing a greeting and forwarding inbound calls via a voice menu or according to user-specified rules. What’s more, a VR can be tuned in such a way as to provide potential customers with basic information (business hours, address, packages and prices ― whatever you find appropriate). To be more specific, here are a few examples on how a virtual receptionist can give you an edge over competitors in hospitality business. Running a small lodging enterprise (like an inn or a motel) doesn’t require many employees. Some of the finest villas and B&B’s are family businesses, meaning there are actually only 4-5 people running the whole place. Naturally, all of them are wearing far more than one hat trying to provide finest possible service for a modest price. Unlike larger establishments, a small business owner can’t afford to hire a person to sit at the front desk 24/7. A full-time phone receptionist is out of the question altogether. So, while the hotel staff keeps running about washing floors, making beds, changing light bulbs, cooking or shopping, the telephone keeps ringing. Forlorn and forgotten. The callers ― potential guests ― are growing more annoyed until they eventually hang-up and switch to other lodging options from their backup list. Of course, there are answering machines and voicemail, but honestly, who would care to leave a call-back request while on an urgent quest for affordable accommodation? Have you ever used this option in a situation like that? One of the most efficient ways to boost your accessibility without hiring a dedicated staff member is to subscribe to a virtual phone number with an automated attendant. Fully-customizable forwarding to any device will come especially useful. After a professionally-recorded greeting, the caller is treated with a voice menu. In case he/she opts to speak to a live operator, the call is forwarded to your mobile so you can answer wherever you are. Actually, the range of forwarding options is marvelously wide. You’re registering a guest? No problem ― the call will be forwarded to the next member of your team. Depending on your desires, it is possible to ring all the phones (landline, mobile, VoIP, softphone) simultaneously to maximize the chances that someone picks up. Alternatively, you can set up call routing in sequence. If all your staff members are busy, utilize a call queue. Instead of hearing frustrating the-line-is-busy beeps, a caller will be informed that no one is able to answer for now. Chances are that a customer would prefer to wait a couple of minutes while listening to on-hold music and/or useful informational messages rather than abandoning the call at once. As a part of a virtual phone number system, automated attendant helps to save time and effort spent on processing inbound calls. Needless to say, there are many other things to do in a hotel other than repeating the same information again and again via the phone. Live telephone conversations ― and even larger companies agree with that ― are unproductive in terms of cost efficiency and time consumption. It is especially true if you have already published the explicit info on your website or a booking service. A virtual receptionist feature is designed to relieve you of these duties. How to configure your phone system to save your time? Room availability and rates through a self-service menu. This information is of the greatest demand among the potential guests. The majority of calls are made only to clarify these points. Therefore, setting your automated attendant accordingly (e.g. press 1 for rates and availability for the coming week) will filter out those callers who unconditionally consider your prices too high or need a suite you are unable to provide. In case the pricing is acceptable and a desired lodging is available, callers may be prompted to book a room by leaving a message. Additionally, you can ask them to specify date of the visit, number of people in a party, extra services required and other information concerning their visit. They also can leave a phone number for you to call them back along with other contact data. Provide directions. It doesn’t matter whether your inn is located somewhere in the middle of a picturesque countryside or in the heart of the city ― people will call you to get driving instructions to your establishment. Let your virtual receptionist do this tedious task for you ― it is far better than instructing a caller to go your website or Google maps. Also you’ll be sure that the directions are correct ― no human factor involved after all. Advertise local attractions. Is there a ski resort nearby? Is your area famous for historical places? Are there spas, restaurants, souvenir shops or car rentals? Your potential guests may be interested in visiting them while staying at your place. Just allow your virtual receptionist to inform your callers about these options. You can also make agreements with nearby business owners to arrange discounts for your guests. Sort out your callers. One of the virtual phone number advantages is an easy-to-use caller lists. Take a moment to categorize the callers ― it will save your time and money later. Unwanted callers and spammers go to blacklist, but there’s also a VIP list. That’s where you can put your regular or special clients and other people for whom you should always be accessible. A VIP list allows you to set special forwarding rules. For instance, instead of playing a greeting and a voice menu, a virtual receptionist will instantly ring your smartphone. Or if all the callers are directed to voicemail during certain hours, you can make an exception for VIPs. It’s a good balance between preserving after-hours privacy and being alert for important business calls. Access multiple channels from one place. The hotel business is closely associated with working through different communication channels (your website, email, Twitter, Facebook). A natural desire to maximize accessibility often leads to problems with managing massive volumes of incoming messages. Some virtual phone systems can deal with this problem by means of dashboards and mobile applications. These features are able to aggregate all the inbound messages in one user-friendly interface. Travelers often post comments and photos about the place where they stayed. Tracking this feedback will help you enhance your performance in case of criticism and thank your guests for kind words in case of positive reviews. It may sound surprising, but hotel owners can use their phone systems for marketing purposes. The advantages of this approach are evident: such promotion acts subtly, being a part of natural communication or self-service process. What’s more, some of the tactics are passive, meaning they will still yield results without your direct intervention. Use your phone for advertising. Do you have any special offers or packages? Let people know about them! Set your automated attendant to let callers press a button to hear about discounts, holiday packages, special rates, bargains, etc. Such practice is known to increase caller-to-customer conversion. A virtual business number’s “messages on hold” option also serves this purpose: play your incentives while a caller is waiting for response. A person will not get bored. Instead, he/she will learn more about your business ― that’s a double win. Allow your guests to leave testimonials. It’s quite convenient for customers to express impressions of their stay in voicemail. Their permission granted, you can later post the positive feedback on your website to create an appropriate image of your business. Virtual phone number systems allow for call screening, so you can either upload transcripts or audio files ― a rather fresh marketing move. Encourage criticism. Regardless of your hotel’s quality, there will always be people disappointed with their stay. Maybe the area turned to be not quite as they expected or maybe they just arrived in a bad mood. Unlike positive reviews, people are more willing to express their dissatisfaction on the hotel’s TripAdvisor or Yelp pages. Avoid the impact of negative feedback by encouraging the guests to leave complaints in voicemail. When initial anger is steamed off, people usually refrain from further actions. Plus, studying customer complaints and eliminating their cause is the most effective way to improve your service. Make your website effective. Many potential clients find self-service through the internet more appealing than direct communication. It’s always a good idea for a hotel owner to ensure web-booking functionality. And if any immediate questions rise, the most convenient way for a client to ask them is to use a Click-to-Call website widget. 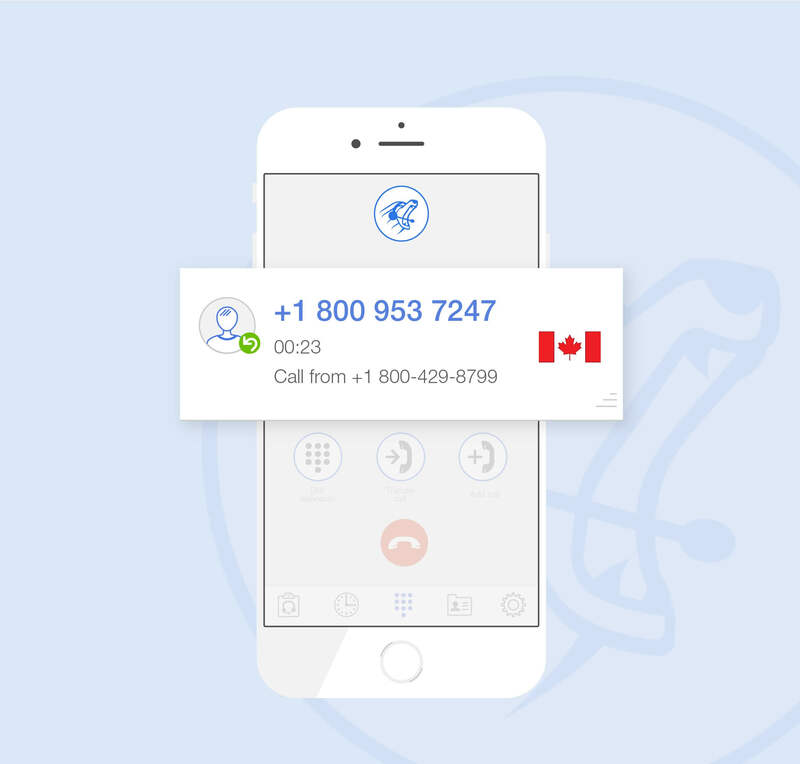 More sophisticated virtual phone services offer fully compatible widgets enabling website visitors to call, leave messages and request for a call-back ― all the messages will show on a dashboard, while calls will be routed according to forwarding rules. Record your calls. When using a virtual phone number system, it may be a good idea to record all the calls for future analysis. On the one hand, it will help to determine the truth if a client claims to be misinformed or something; on the other hand, you can use recorded conversations to train new employees on how to conduct a dialogue and how to behave in certain situations. MightyCall’s virtual phone number is a solution to consider. MightyCall is a call processing cloud-based system, designed especially for small and medium businesses. It incorporates all the above-mentioned features: an automated attendant, voice menus, flexible forwarding, music and messages on hold, a dashboard, a mobile app and many other options. It is an ideal choice for those hotel owners who wish to manage their communication in the most efficient manner. Our cloud infrastructure utilizes state-of-art technology to ensure flawless operation and perfect sound quality. MightyCall offers versatile option packages at affordable rates: pick an option according to your needs. This system doesn’t require additional infrastructure, it’s easy to install and use. In case you’re currently using some other business number service and wish to migrate, it’s possible to port your existing number into our system for free. And even more importantly, we value our clients and treat them accordingly. Our support team is always at your service to answer your questions, recommend a perfectly suitable setup and solve any possible technical issues. Never lose a call again with MightyCall’s virtual business phone number.